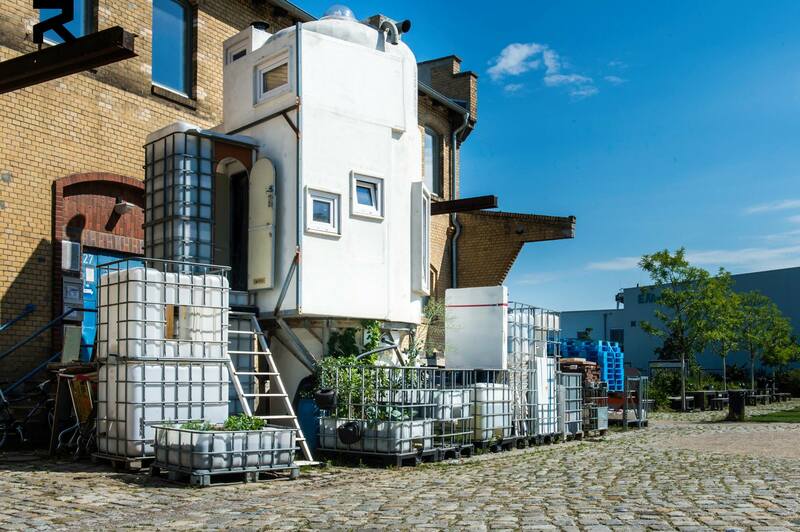 Silo City is a dynamic and mobile living structure from a grain silo and a selection of local waste materials. “I wanted my own space,” said Körbes, who spends half his time traveling for work. Initially an experiment, such mobile living actually worked. But anyone who has lived in a caravan would know that there is a lack of space, and, er, privacy. 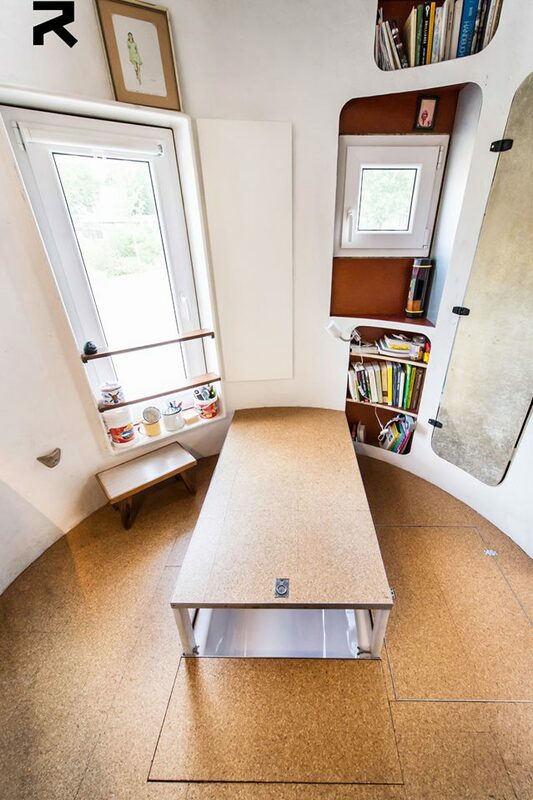 While an apartment might be a solution for most, Körbes was inspired to build a home from an old grain silo, which he found in the Netherlands and shipped to Germany. The home cost $20,000, and Körbes has been living in the silo with his 7-year-old daughter since July. 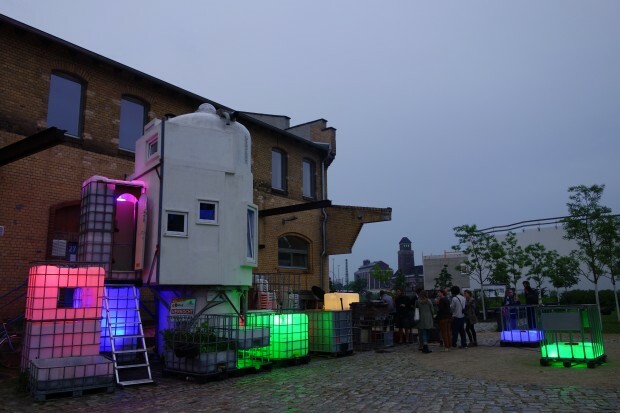 Set out front of the Center for Art and Urbanistic in Berlin, the silo house looks like a mini spaceship (or a giant Tic Tac). 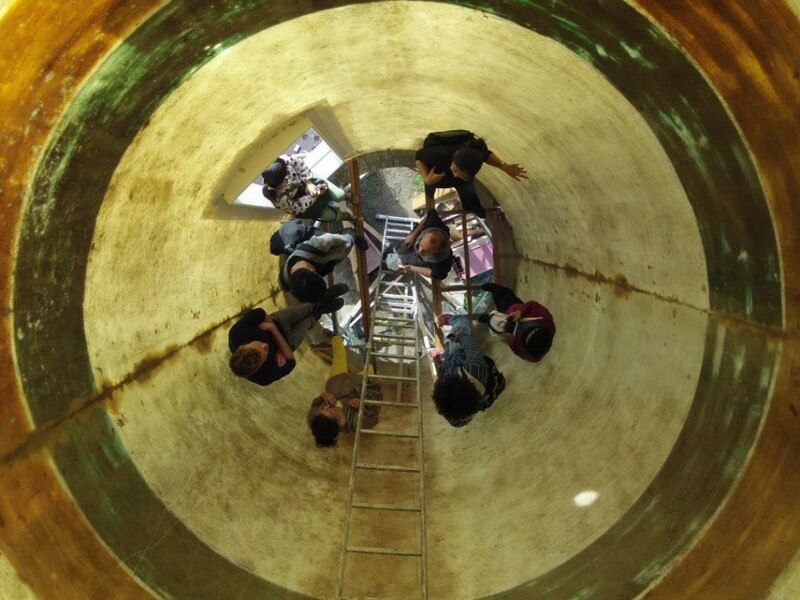 The project, called Silo City, is supported by REFUNC, a design group Körbes co-runs with Denis Oudendijk, Damian van der Velde, and Bart Groenewegen. 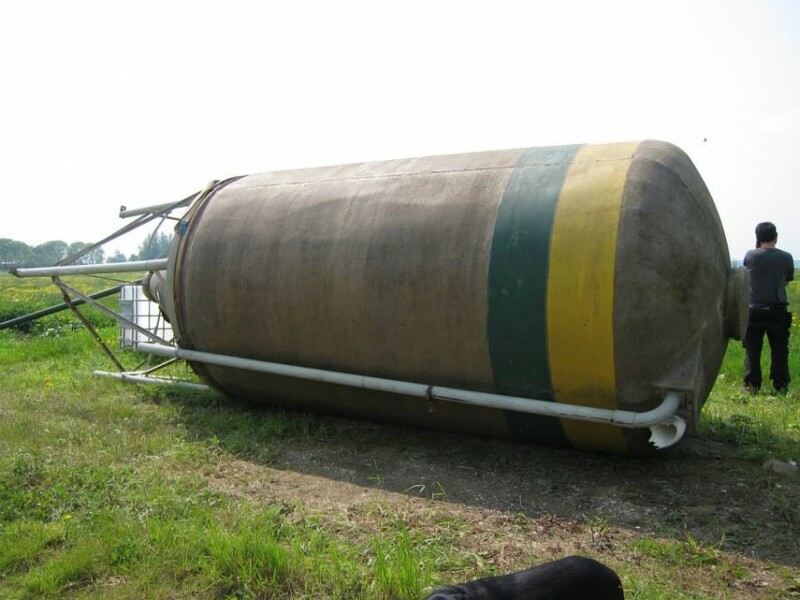 The goal is to build new things from waste. From toilet seat park benches in Lithuania to mobile bin bars in South Africa and truck tire public art in Kyrgyzstan, they call it creative recycling. Inside, he installed small furniture from plywood and under the dining table, a bathtub, so that you can sit on the floor and legs sink into the depths. 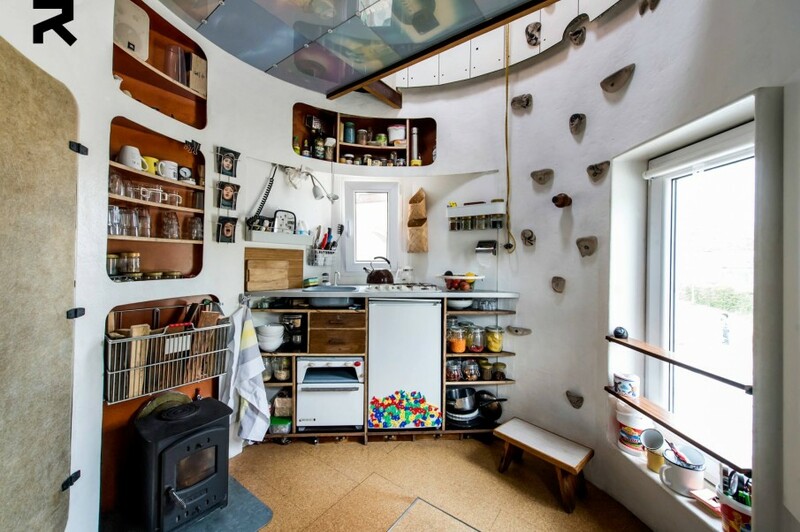 From there a steep ladder into the living, kitchen and dining floor, from there climbing holds upwards into Schlafstübchen for two. 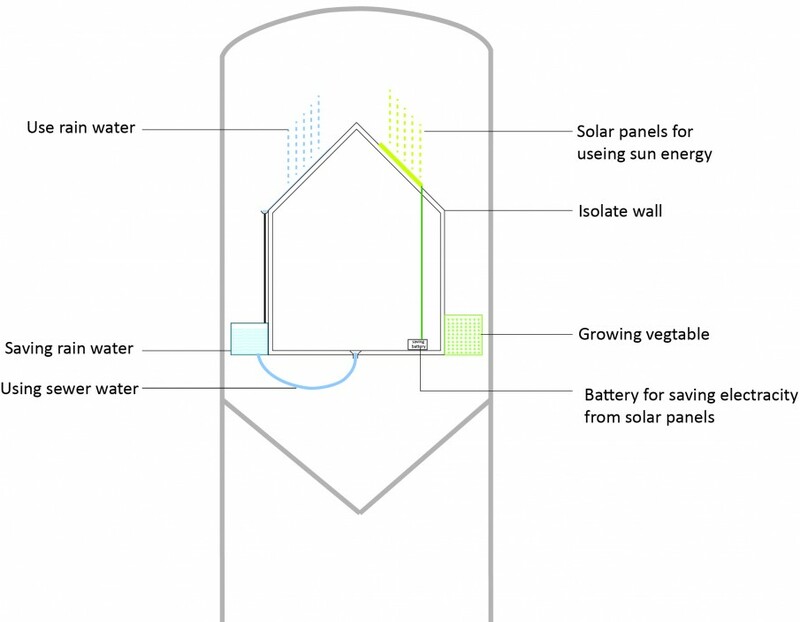 Downstairs and outside there is a rainwater, a small water tank and a five liter-shower circuit, infrared heating and solar panels - "there's more technology in it than you think." The silo came by truck to Berlin and is now on a former goods station in front of the building of the "Center for Art and Urban Studies". 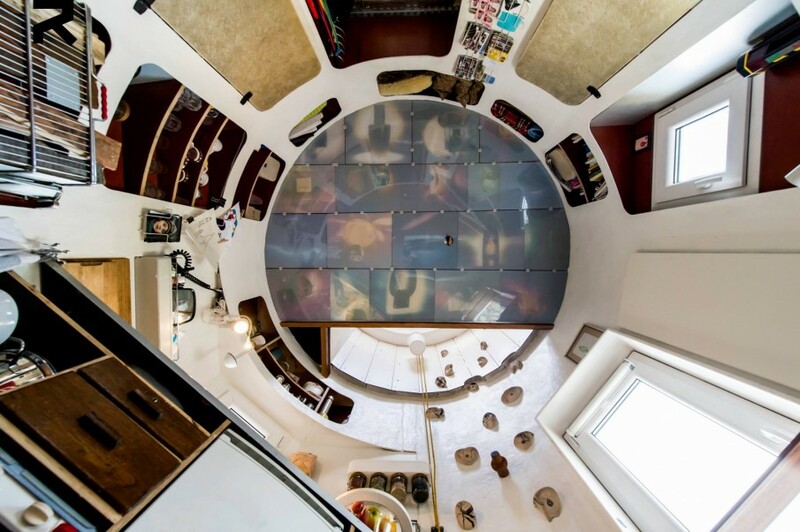 In terms of square meters of living space created 13 the price of 30,000 euros was quite high, but the silo is not a vile residential property, but also "Installation, prototype and experiment" and "a work of art that looks like inhabited”. 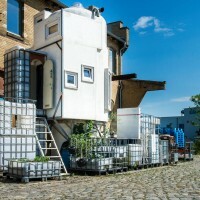 Conversely, it is also true: It's an improvised housing that looks like art. Körbes lives in fairly independent of municipal water and electricity supplies, "like a hermit in the middle of the city.